The warm-up PMF night will celebrate independent prose writing. Jim Ruland from San Diego will be accompanied by Prague- and Britain-based writers such as Louis Armand, Morgan Childs, Sophia Disgrace, Phil Shoenfelt, Thor Garcia, Ken Nash and Damien Ober; followed by the launches of the international revue VLAK and festival videoinstallation. Music by Happy Funeral, the duo Phil Shoenfelt and David Babka and DJ Count Portmon. 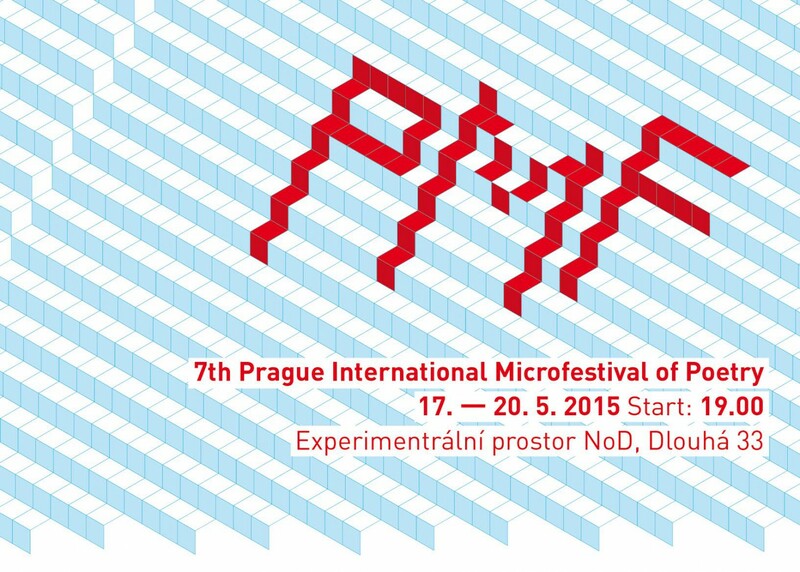 The opening PMF night will feature the legends of Czech and international sound poetry. The Dutch classic of sound poetry Jaap Blonk will perform alongside the Czech founder of physical poetry Petr Váša. You will also have the chance to hear the raw voice compositions by Kinga Tóth (Hungary) and the melodic yet radical poetry by the Ireland-based poet Kimberly Campanello. The program closes with music by Czech cult duo Ježíš táhne na Berlín. The second PMF night will start off with the Australian avant-gardist Philip Hammial and a reading incorporating a live mass-collaboration Twitter poem by the Ireland-based Cypriot Christodoulos Makris. The second half of the evening comprises a unique series of verbal compositions, classical singing and experimental music by Samuel Vriezen from Netherlands and Ian Mikyska from Prague, two composers who will be accompanied by the improvisation collective Startocluster. The composition “A House for Hanne Darboven,” with text by Louis Armand, will be performed as a homage to the German conceptual artist. The night wraps up with indie-folk by TEVE. The third and also the closing PMF night will present the Czech-Slovak-German project Displej.eu which brings to Prague experimental poets of younger generation. The rising star of German poetry scene Rick Reuther and the creator of sound collages Rike Scheffler from Germany will complement the Slovak visual artist and poet Nóra Ružičková and the Czech poet Martin Poch who will join his powers with the video artist Aleš Loziak. The evening closes off with Jára Tarnovski of the electronica collective Gurun Gurun.